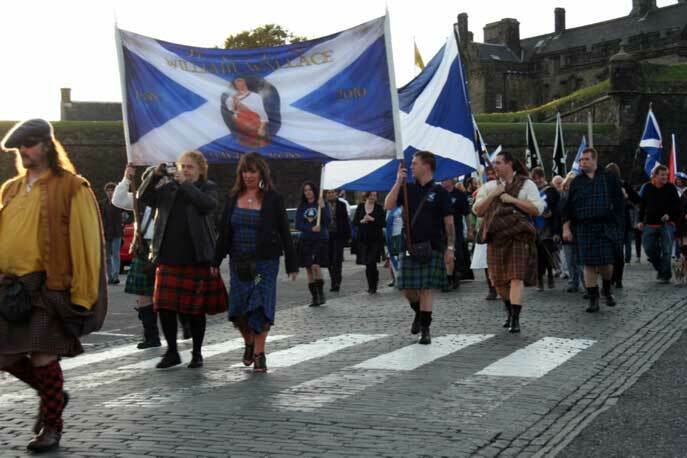 Hundreds of Scots marched to mark William Wallace's victory at the Battle of Stirling Bridge at Stiling on the 10th of September. About 300 people joined the march from Stirling Castle to the city's Auld Brig, where Wallace's troops beat the English on 11 September 1297. We were led by the wonderful pipes and drums of Alloa Bowmar Pipe Band to the north bank of the bridge. 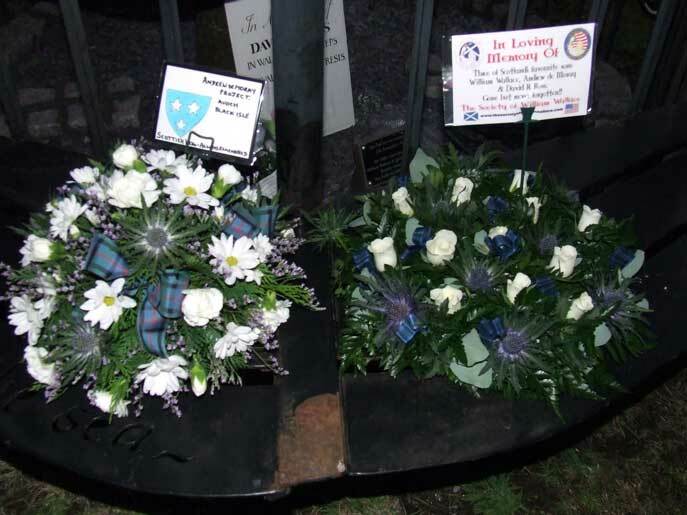 We laid our wreath during a very touching ceremony compered by Ted Christopher who made a wonderful speech as did Duncan Fenton and George Boyle of the Society of William Wallace, who want a monument at the historic site. 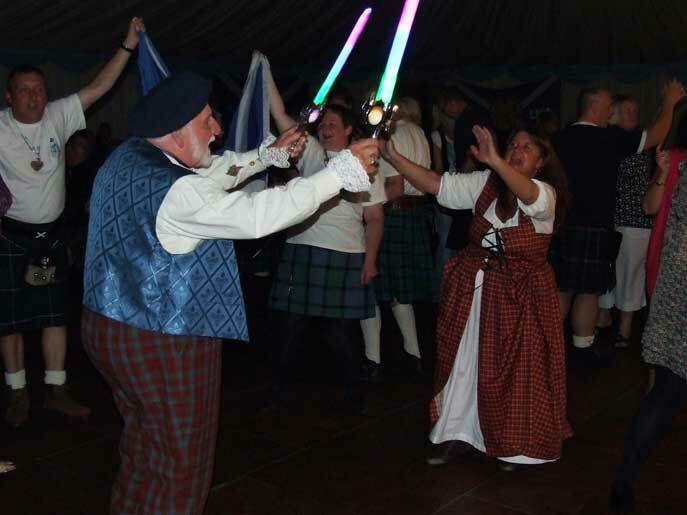 Scots had gathered from all over the world for the event, organiser Ted Christopher told us: "It is important that we never forget our heroes and keep the spirit of Wallace alive. "The Battle of Stirling Bridge was one of Scotland's great victories, but this is only the second march to commemorate the events of 11 September 1297. "About 300 people, including some from France, Canada, Australia, Argentina and the United States, are taking part." 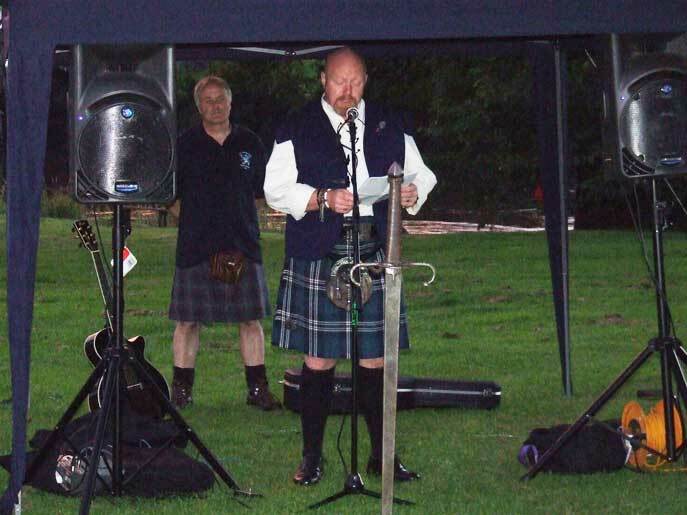 The gathering at the Auld Brig also paid tribute to the late historian and convener of the Society of William Wallace, David R Ross, who died in January this year, aged 51. A plaque is being unveiled on the north bank of the river, fixed below a tree planted in 1997 to mark the 700th anniversary of the battle. 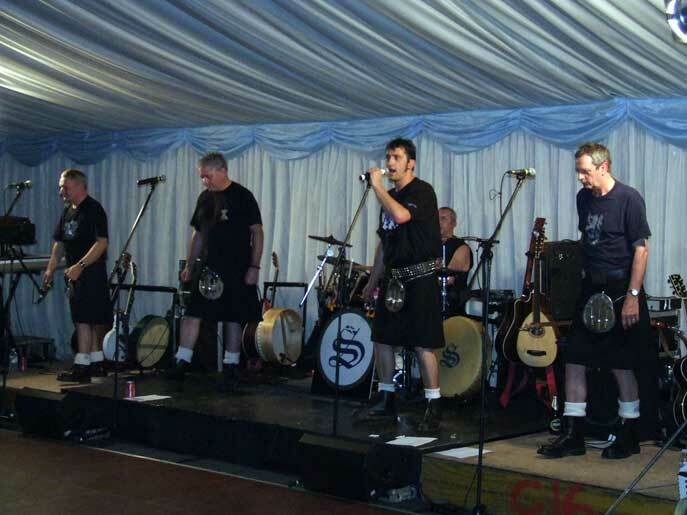 We then headed off to Stirling Rugby Club for our evenings entertainment. 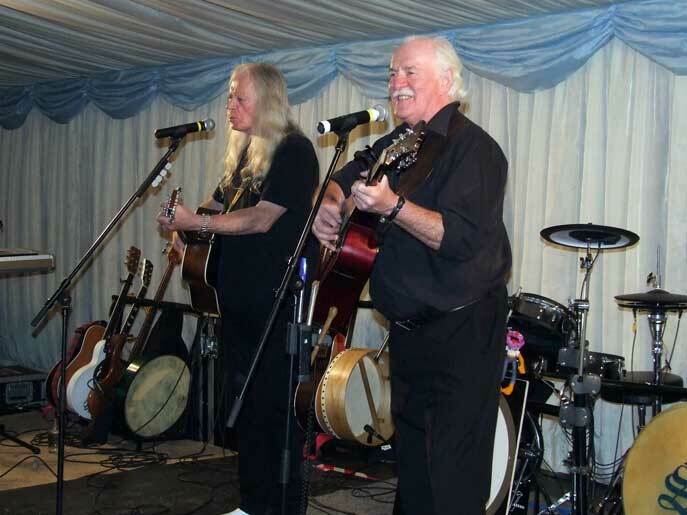 What a night Ted had organised for us, Scocha and Gaberlunzie and of course Ted himself ably assisted by the magnificent Bannockburn Band. 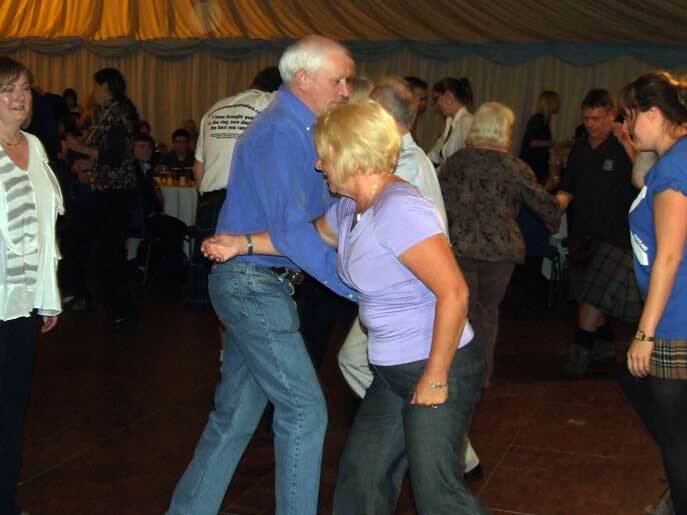 What a night, great music, great company and great stovies, yes great stovies, Ted you need to send me the recipe!! 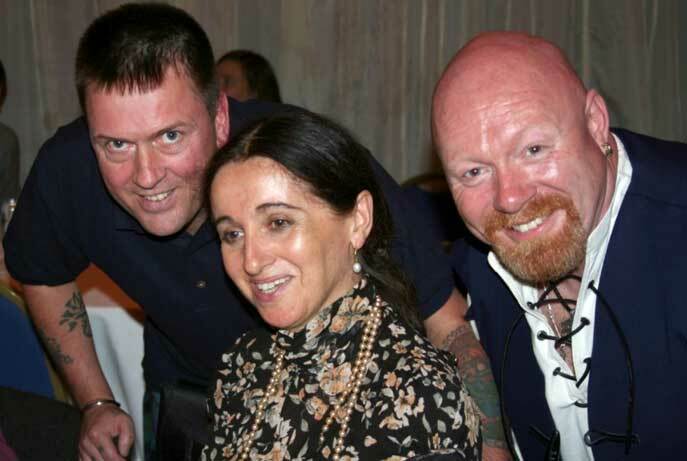 Ziggy, Beatrice and my good self!! 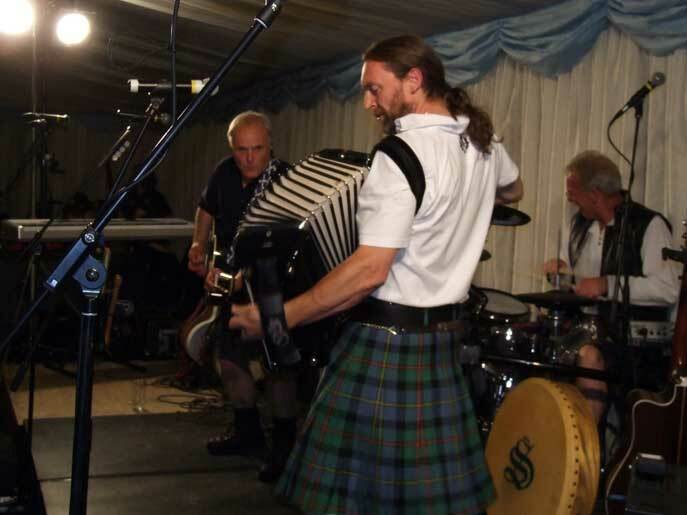 Ted and the Bannockburn band!! The floor was bouncing all night! !